Soccer Tower Trophies. 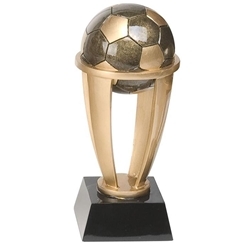 These 10.5" soccer trophies are made of resin. Great for MVP or special player awards.